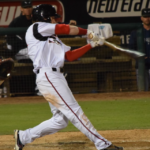 The San Diego Padres High-A affiliate, the Lake Elsinore Storm of the California League, released their 2019 roster on Monday. 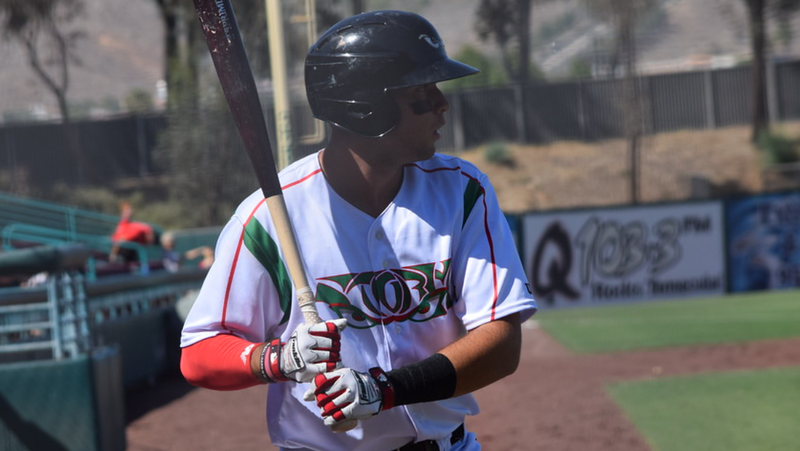 The Storm finished 68-72 in 2018, which put them in third place in the California League South Division. 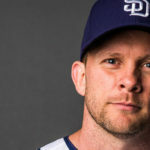 The 2019 roster looks much different, including seven of the Padres’ Top 30 prospects, part of the best farm system in baseball. 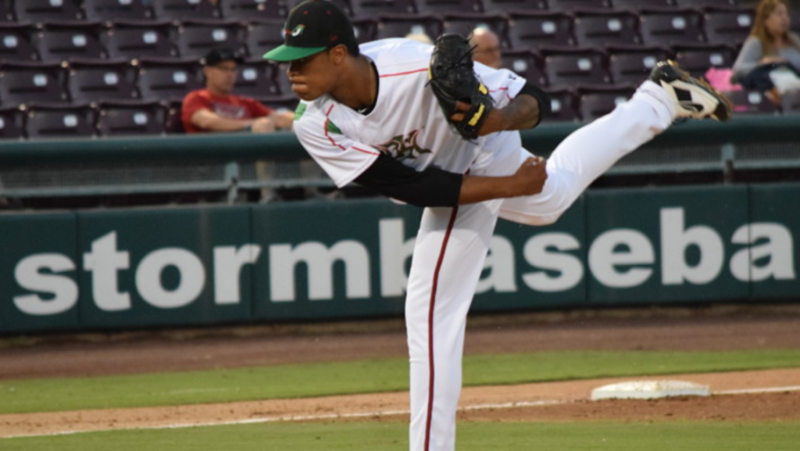 Among the Top 30 prospects, MacKenzie Gore (2), Luis Patiño (6), Tirso Ornelas (16), Luis Campusano (18), Jeisson Rosario (22), Gabriel Arias (25) and Esteury Ruiz (27) will start the season on the Storm roster, making Lake Elsinore one of the most stacked teams in all of minor league baseball. The pitching staff will be led by Gore, who has redemption on his mind after a disappointing first full season as a professional in Fort Wayne last season. Blisters kept him from looking like 2017’s third overall pick with a 4.45 ERA in 16 starts for Single-A Fort Wayne. As the 15th-ranked overall prospect, expectations are rightfully high for the lefty. 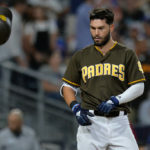 Gore will be challenged this season as not only the best pitcher in the Padres system, but he also will have to fight for the title as the best on his own team with fellow top prospect Luis Patiño. The 19-year-old Colombian has put together two professional seasons without an ERA over 2.48. 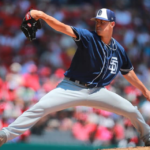 He had a stifling 2.16 ERA for Fort Wayne last season, and he may not be in Lake Elsinore long if he continues to pitch like he did last season with one of the best sliders in the entire Padres system. Dylan Coleman, who cracked the Padres’ Top 30 prospect list last season, also will start in Lake Elsinore. A fourth-round pick in last year’s draft, Coleman appeared in 18 games between Low-A Tri-City and Fort Wayne with an ERA right around 3.00. Ronald Bolanos will start in Lake Elsinore, where he played his entire 2018 season. He struggled with a 5.11 ERA in 25 games and is likely there to establish himself and show improvement before moving up. Mason Thompson could be another arm on the rise after an impressive spring in the back fields. He has spent two seasons with Fort Wayne with an ERA over 4.50 and looks to build off of the strong spring to post better numbers in a higher level. There is one name on the roster that might make fans do a double take. Javy Guerra is listed on the Storm roster, the same Javy Guerra that played 122 games at Tripe-A El Paso as a shortstop last season. According to reports, Guerra is attempting to re-invent his career as a pitcher. This may be a wise move since he has not mustered a wRC+ better than 68 or a 30 percent strikeout rate since he played Single-A ball in the Red Sox organization in 2015. Luis Campusano is now the best catching prospect in the Padres system not named Francisco Mejia. He has an above-average arm behind the plate with raw power at the dish. That power is yet to express itself in games as he has seven home runs in just over 100 career minor league games. He had a 106 wRC+ and a .288 average for Fort Wayne last season and eventually leap-frogged Austin Allen in the catching ranks. Gabriel Arias headlines the Storm infield. He has always displayed defensive prowess at shortstop and third base, but the bat has been lagging far behind with just an 86 wRC+ and a near 30 percent strikeout rate for Fort Wayne last season. It looks as if his bat may finally be finding him after a good spring showing. 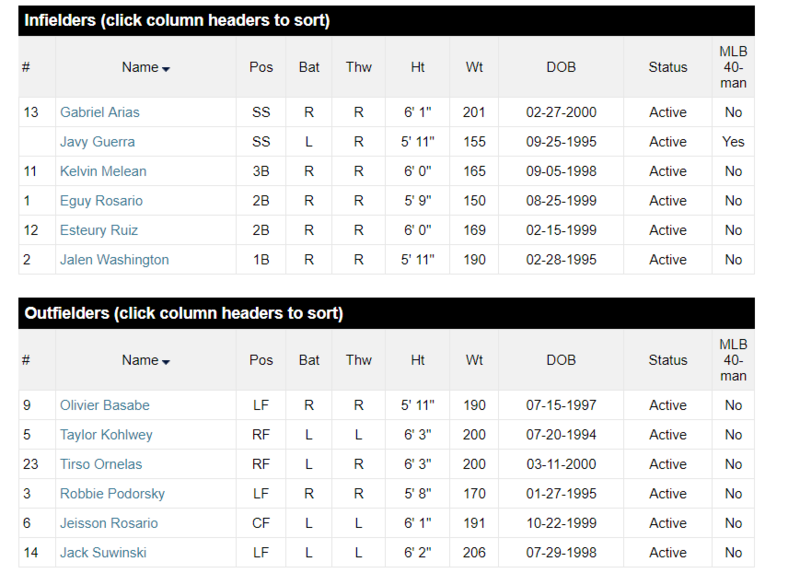 Esteury Ruiz is the other notable prospect in the infield for the Storm. He is a powerful middle infielder who broke out with 12 home runs and a 108 wRC+ last season with Fort Wayne. 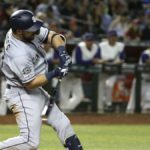 The Padres are perhaps at its deepest among position player prospects at the middle infield spots, and Ruiz is a great depth piece. He should thrive in the hitter-friendly California League. 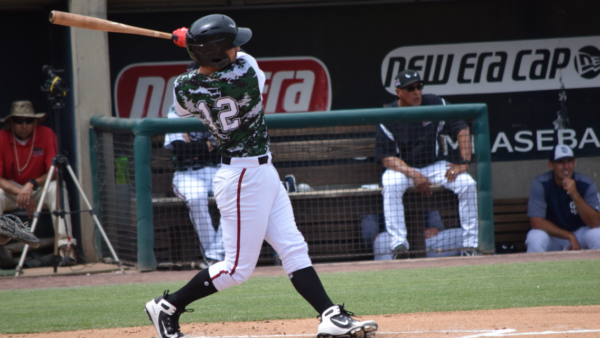 Eguy Rosario made EVT’s Top 100 Padres prospect list at 51. He is another middle infielder with not as much power as Ruiz but has slick fielding skills. He returns to Lake Elsinore, where he played 121 games last season with an 82 wRC+ and 28 doubles. Tirso Ornelas is rising prospect boards as he is only just discovering his power, at 6-3, 200 pounds. He hit eight home runs with a 109 wRC+ last season for Fort Wayne. His power should manifest itself in a bigger way in Lake Elsinore. He has a 55 or 60-grade tool for contact hitting, power, and fielding and is only growing more into that big frame. Jeisson Rosario has had better than 110 wRC+ at each level he has played at in two seasons. In Fort Wayne last year, he had a 111 wRC+ with a 12.7 percent walk rate and 18 stolen bases. 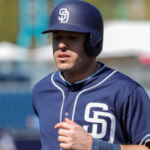 He is one of the most athletic prospects the Padres have and fits well in the outfield. 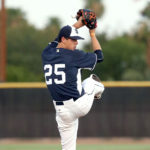 The Storm is not short on pitchers and athletes. 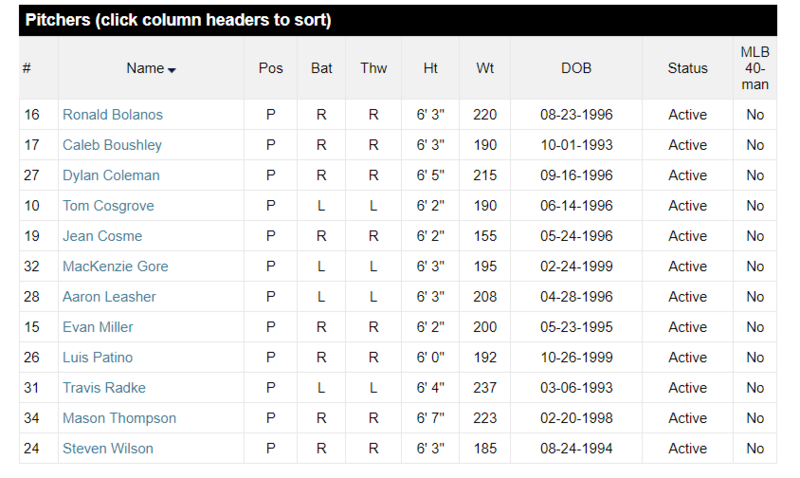 This team should be one of the best teams in the Padres system.